Any injury can be devastating, and the complications that come after an accident are often difficult to handle. At Lenahan Law Firm, we understand that this time in your life may be difficult, but with the guidance of an attorney from our team, you may be able to obtain the compensation that you deserve. We have substantial experience handling a variety of complex injury cases and we are not afraid to aggressively pursue the best possible resolution and the highest compensation available for your situation. Our staff is comprised of talented professionals, all of whom stand ready to ensure that your rights are protected. Lenahan Law Firm offers free case evaluations to all potential clients and the opportunity to discuss your situation directly with a respected North Dakota big rig and oil rig lawyer. If you find yourself facing any of the following injuries or case types described below, or if you are interested in learning more about your eligibility to file a claim, contact Lenahan Law Firm today! If you have been seriously injured in an accident, it is absolutely essential that you retain the representation of an experienced and talented legal professional. 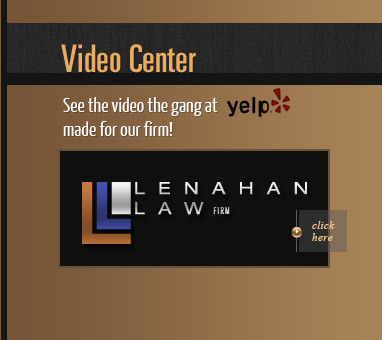 At Lenahan Law Firm, we are proud to offer our clients outstanding representation and trusted counsel for their unique cases. We are knowledgeable of the various laws and regulations in place to protect oil workers and we can aggressively pursue a favorable resolution to your situation. If you have questions or concerns regarding your eligibility to file a lawsuit or the amount of compensation that you may be able to obtain, contact Lenahan Law Firm today and schedule a consultation with our team. You can get started by completing a free case evaluation form on our site.